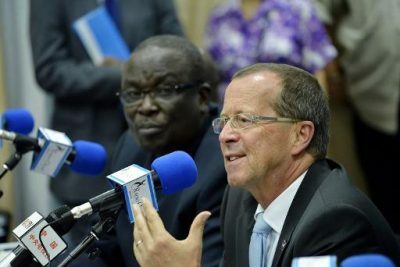 Martin Kobler, head of MONUSCO, the UN peacekeeping mission in the Democratic Republic of the Congo said that its co-operation with the Congolese army was to resume “as soon as possible” to effectively fight the Rwandan Hutu FDLR rebels active in the east of the country. “I was (recently) in Nyanzale (of the North Kivu province) to see the effect of non-co-operation between Congolese soldiers and peacekeepers” Mr. Kobler stated during the weekly press UN press conference in Kinshasa. The Democratic Forces for the Liberation of Rwanda (FDLR), Rwandan Hutu rebels are accused of participating in the genocide of Tutsis in Rwanda in 1994, which caused 800,000 deaths according to the UN, before taking refuge in Eastern Congo, where they continue to commit serious abuses against civilians. MONUSCO, with 20,000 people, was working with Kinshasa in the development of a joint operation against the FDLR, but at the end of January 2015, the Congolese army announced the launch of a single offensive, MONUSCO no longer providing operational, logistical and strategic support. 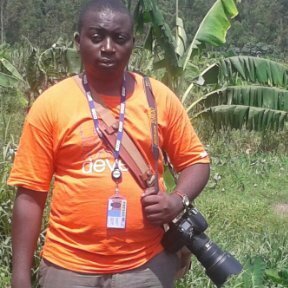 On February 15, the DRC announced that military action would be undertaken alone, this following the withdrawal of MONUSCO’s support after the appointment by the Congolese army of two generals who were on a UN blacklist of human rights violators. MONUSCO said they could not work with the DRC as the aforementioned military leaders were suspected of serious violations of human rights. Since then, relations have deteriorated significantly between the Congolese government and MONUSCO, so great hope is held by Martin Kobler for MONUSCO to once again unite with the Congolese armed forces.